Oklahoma Connection | Turner was born and raised in Lincoln County, Oklahoma. Oklahoma native and 13th Governor of the state, Roy J. Turner came to Oklahoma City and entered Hill’s Business College. He took his first job in the area in 1911 with Morris & Company, a local meat packer, and then joined Forrest Harper in a real estate venture. Together, they invested in a number of enterprises, including oil leases in the Oklahoma City field. Turner founded a 10,000-acre ranch in 1933 and established Turner purebred Herford cattle in 1935. 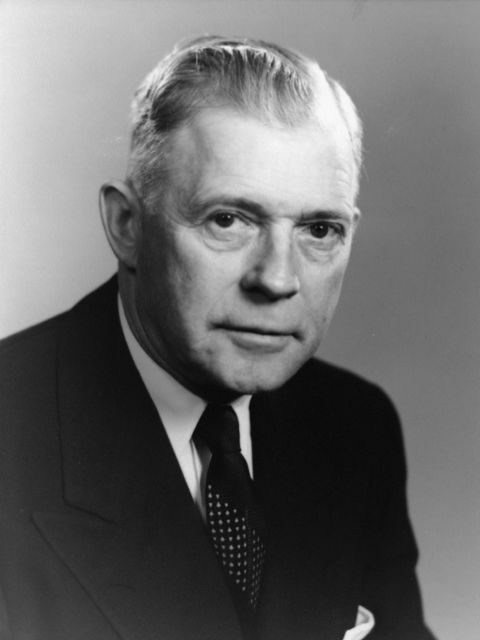 Before becoming Democratic Governor (1947-1951) of Oklahoma, the only other public office he held was that of a member of the Oklahoma City School Board. During his administration, Turner was successful in establishing a Board of Regents for State Colleges and the Oklahoma Turnpike Authority. Segregation was ended in higher education across the state he was also instrumental in guiding Turner Turnpike to creation through the state legislature. After leaving office, he returned to oil and cattle investments and served on the State Highway Commission.